Currently, just 3 per cent of those who teach two to five-year-olds are men. We speak to our new Infant Teacher, Adam Newton, who discusses why he thinks this is, as well as what he aims to achieve in his new role. At school I participated in a variety of sports. As I achieved county status in both athletics and football, I had to choose a sport which I wanted to concentrate on. I decided on athletics, following in my father’s footsteps. This led me to coaching athletics to the visually impaired in Leeds. Whilst coaching, I realised how wonderful it was to see how the children loved to learn, how they enjoyed being taught new things and how open their minds were to new ideas. I started coaching athletics more often and at the English Institute of Sport with a range of athletes. At Sheffield Hallam University, I chose a degree in coaching. Whilst in a school, I had decided from this point that teaching was the future I was aspiring towards. However, I was unsure if it was secondary school or primary. I then started to gain experience working in both. To grasp a greater understanding of primary, I worked as a teaching assistant for a year. I am immensely grateful for this experience as it allowed me to not only develop a love of teaching children aged 4-11, but allowed me to gain an understanding of the importance of teaching assistants and how they are used in the classroom. From here, I did my teacher training and taught in every year group in primary. Within my teaching in state schools, I have prepared children for SATs and have been involved in government and interschool moderations. I have currently found a year group in which I am thriving. Early years is a place where I feel comfortable and have a great understanding. The values and ethos of the school are the same as my own. I want to instil in the children a love of learning and make sure they are proud of themselves for themselves and not for extrinsic purposes. Doing this will allow for the development of leaders and experts, but most importantly happy, confident children. You always get a feel for a school when you visit and walk around. I made sure I visited before applying and asked every member of staff I spoke to questions which would let me understand the school better. From this, I went away with the understanding that Ranby House is a welcoming place and that teachers and children alike enjoy being there and have many positive views on the school and new Headteacher. What are you first impressions of our school? Wherever I go I make sure I look at a number of different areas in a school. Teachers and teaching assistants are the most important. I feel if I can see that the teachers are happy, then they are working in a good environment. This directly affects teaching ability, and the capability to teach, following the aims and ethos that made them go into teaching. Children are the second, they show with their smiles the pride that they have in their learning. Both these things were present when I initially visited the school. 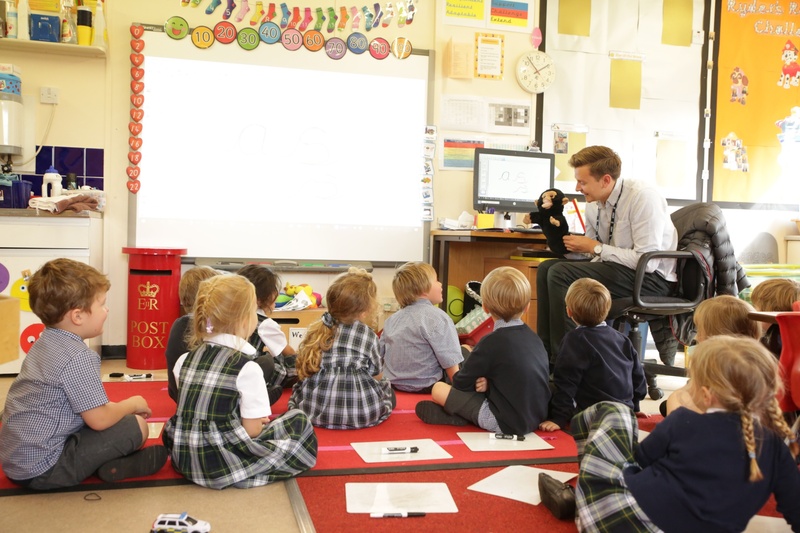 According to government statistics, just 15.4% of nursery/primary school teachers in England are male. Why do you feel the percentage is so low? Having spoken to a lot of male teachers, it is interesting to see their point of view on the matter. Nearly all of them stated that they felt they would struggle with confidence initially. The knowledge was another area of weakness they all discussed. Teaching early years pupils is a different style and requires a different outlook. They also felt that a lack of enthusiasm and patience when teaching the youngest children is another key element. I therefore found it a surprise when I was asked to move to early years. I loved the challenge and ended up falling in love with teaching in this area. Stereotypes are also a factor of this. Many parents are surprised when they see a male in early years, and often question how a man is going to look after their small children like a woman does. I have worked hard to change the opinions of parents, and feel that they have all, children and parents alike enjoyed their time with me. 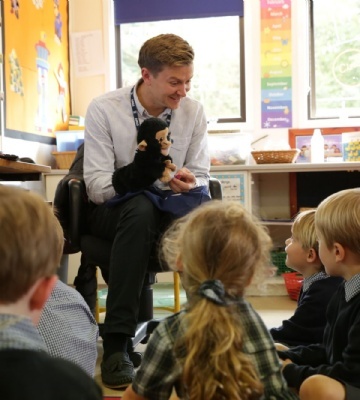 Why is it important to have presence of male teachers in early years education? I feel it makes a massive difference to a child’s progression when they have different gendered teachers from early on. It allows children to experience a different style of teacher and also to have different role models and create memories from a different form. I always strive to be the best I can be and aim to continue with this ethos. I want to progress my career as far as possible whilst making sure I am confident and capable in the job. I want to inspire children and teachers alike. The best piece of advice I have received is from my parents when I was younger. They told me that whatever I want to do in life I have to work to achieve it. To enjoy learning and to take opportunities with both hands and appreciate what life gives you.